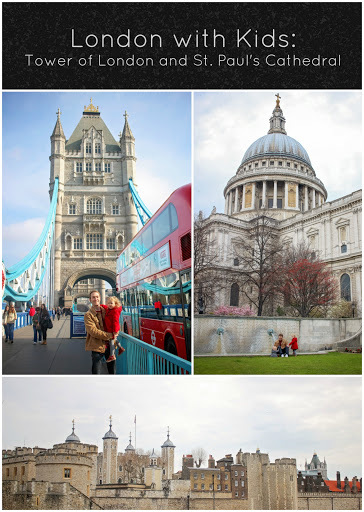 So far our trip to London had been amazing (read about our previous days here and here) and we were excited for everything we still had planned. Our plan for the day was to go to the Tower of London and then see head over to the British Museum. Obviously the day didn’t go as planned as you can see from the title, but it still ended up being a pretty good day. 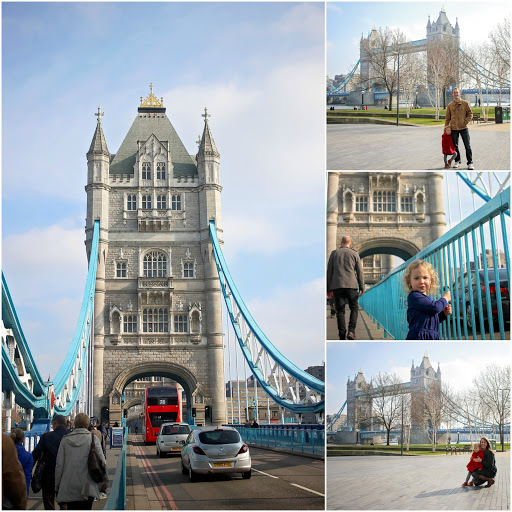 We started our day by walking over to the Tower Bridge. It was a nice walk, especially once we reached the river. We walked under the London Bridge on our way and that was kind of interesting (it played the song London Bridge is Falling Down as you walked under it). 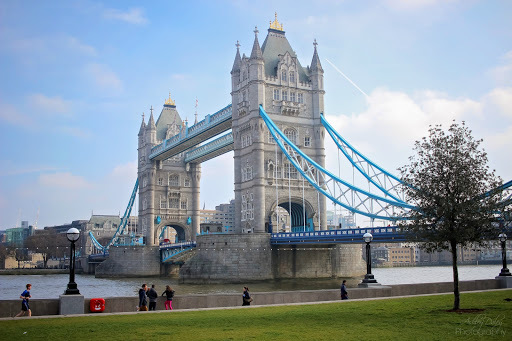 The Tower Bridge was built in the late 1800’s and is now an iconic symbol of London. We had to carry the stroller up a little bit of stairs to be able to cross it, but it wasn’t too bad. It was pretty awesome to walk across. There’s also an exhibition that you can visit in the towers, but we passed this trip. 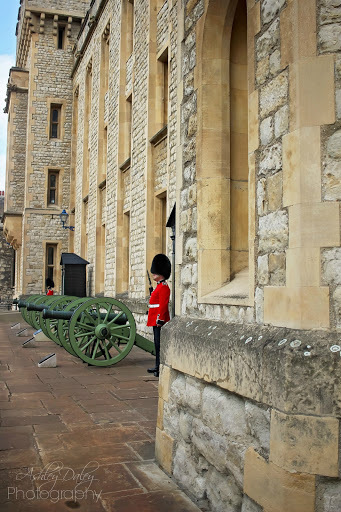 The Tower of London was a short walk from the bridge. We had bought our tickets ahead of time online here. When we got to the castle, we picked up our tickets at the Group Ticket Office. They also gave us a little childrens activity set for London that included a button for her to wear and an activity book. She loved it! The castle was ordered to be built by William the Conqueror in 1066. 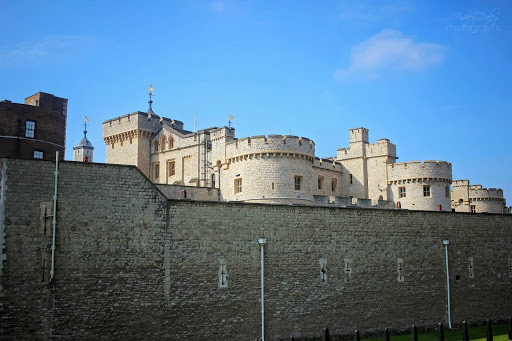 Over the next 900+ years much would happen at the Tower of London, including the beheading of Anne Boleyn, Elizabeth I imprisonment (as a Princess), Guy Fawkes’ torture after failing to blow up parliament, Colonel Blood’s attempt to steal the Crown Jewels, and much more. 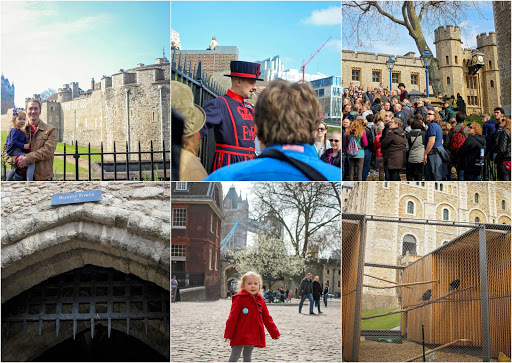 He gave a group tour around the grounds and we saw a few different interesting sites such as the Chapel of St. Peter ad Vincula and the outside of the Bloody Tower. The tour was about an hour. Afterwards, we headed straight to the Crown Jewels. No photos were allowed, but everything was beautiful! We ate lunch at the Armouries Restaurant which had a wide variety of food options. Everything tasted good and high chairs were available. After lunch, we went and saw the ravens. Legend has it that if the ravens ever leave their home at the tower, then the Kingdom will fall. They eat 170g of raw meat a day plus bird biscuits soaked in blood and are cared for by the Raven Master. After the Tower of London, the plan was to head to the British Museum. We got on the underground and we were heading the right way, only to learn that the line that would have taken us there, was closed for Sunday! We were told that the best alternative way to get there was by bus and so we tried to track down the right one, only to eventually give up (we have the worst luck trying to figure out how the local buses work!). 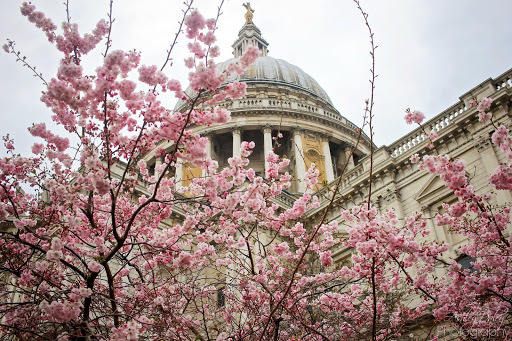 We ended up making our way through the Financial District and over to St. Paul’s Cathedral. We didn’t go inside, but enjoyed walking around the outside. It was a great place for the kids to get out of the stroller and run around a bit and eat a snack. Next time, I think we would go inside and head up to the Whispering Gallery. It’s said that if you climb the dome, one person can stand on one side and whisper and the the other person can stand elsewhere in the dome and hear the whisper! 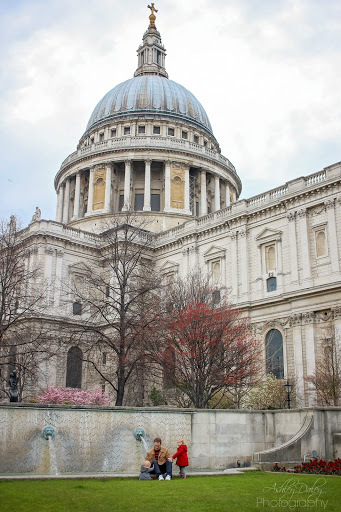 We decided to head back towards our hotel after St. Paul’s. We crossed over the Blackfriars Bridge and could hear music along the river bank. 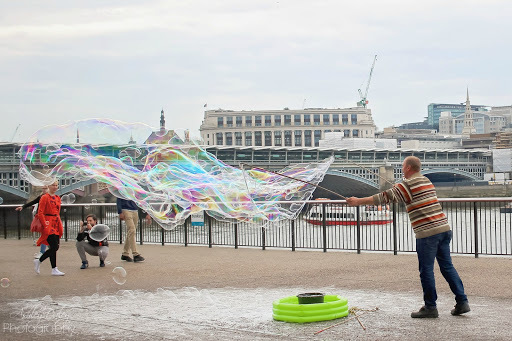 We headed down towards the water and saw several musicians playing and then ran into this guy making giant bubbles. It was so cool! 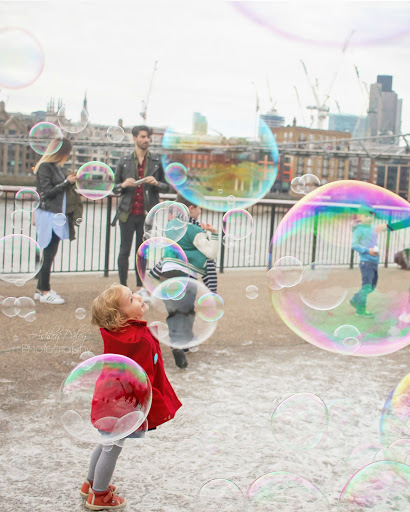 London had a blast playing in the bubbles. We walked a little further down near Tate Modern and found a guy selling some street art. Below, you can see the painting that we bought from Robbie MacGregor. We grabbed dinner near our hotel at Vapiano. The food was great and it had a good atmosphere. While our day ended up a little different than we had planned, it still ended up being pretty good. I especially loved how we ended our evening walking along the River Thames.